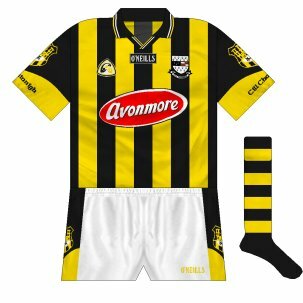 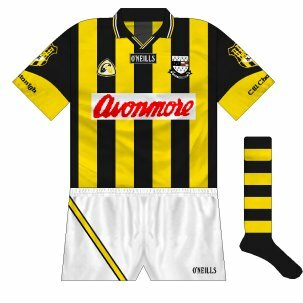 With stripes so central to Kilkenny's identity, it can be hard for jersey manufacturers O'Neills to come up with something different every time - witness the minimal changes between the 2007-10 shirt, its 2011 replacement which only lasted for a year and then the 2012-14 offering. The strip launched at the start of 2015 certainly distinguishes itself, with the popular mandarin collar and 'fade' effects at the bottom of torso and sleeves. These elements are included in the black goalkepeer shirt too. 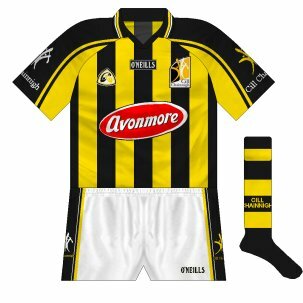 Kilkenny are one of the few counties - if not the only one - never to have to worry about colour-clashes.